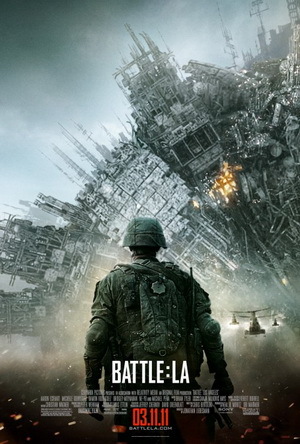 Be sure to watch for Source’s USMC Tactical 3L Hydration System in the upcoming Columbia Pictures “Battle: Los Angeles” film due to be released on March 11th in the United States. This exciting science fiction film features Aaron Eckhart as Marine Staff Sergeant Michael Nantz who leads a platoon of US Marines in battle against a force of aliens who are intent on destroying all mankind from the face of the Earth. In addition to world class special effects, there is great attention given to technical accuracy of the film which goes right down to the combat equipment being worn by the actors to include the US Marine Corps’ standard issue hydration system: The Source USMC Tactical 3L. Source Hydration, the choice of the US Marine Corps and all others who defend mankind against the alien hordes.